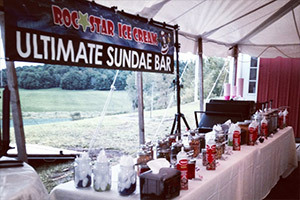 Why not give your guests something to scream about at your next event by featuring a Roc-Star ice cream sundae bar? 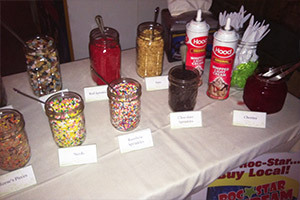 Choose four flavors from a variety of fresh-made ice creams and we'll add on a toppings bar that gives your guests plenty of choice. 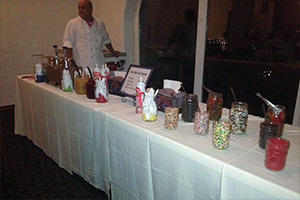 We'll provide the staff to scoop up sundaes for your guests to top on their own or we can top them to order and serve them to your guests. 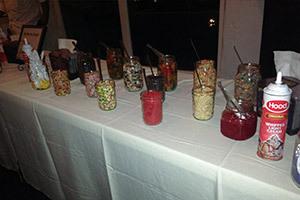 This unique and interactive dessert option is a great way to provide a fun dessert choice that will leave your guests raving. 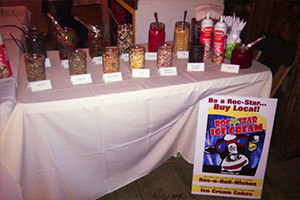 Perfect for birthdays, weddings, graduations, and corporate events. 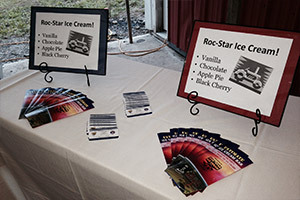 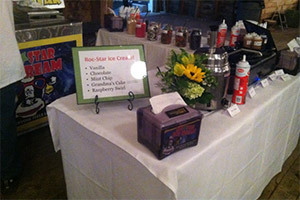 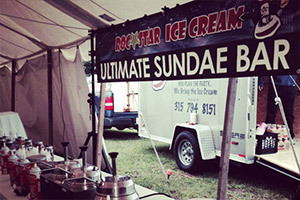 Along with ice cream, Roc-Star can also meet all your food needs for your next event. 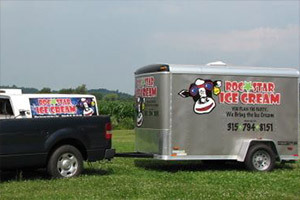 Our offerings include pork or beef barbecue, baked chicken, our delicious and juicy pressure-fried chicken, lasagna, ziti, and more. 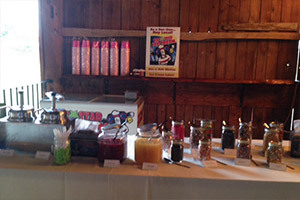 We can handle events of any size, and we can even make up small pans of items for you to take home and serve at smaller events. 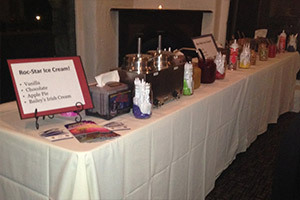 For more information on our catering services and to inquire about pricing, please contact us.